Immunobullous diseases are rare but potentially life threatening diseases that often require aggressive immunosuppression. While traditionally this has been in the form of broad immunosuppression with small-molecule drugs such as corticosteroids, newer therapies have arisen, targeting more specific pathways in the immunopathogenesis of the disease. We discuss the use of immunoadsorption, intravenous immunoglobulin, and rituximab in different bullous diseases, as well as the underlying mechanism behind these drugs. Hertl M, Jedlickova H, Karpati S et al. Pemphigus. S2 Guideline for diagnosis and treatment - guided by the European Dermatology Forum (EDF) in cooperation with the European Academy of Dermatology and Venereology (EADV). J Eur Acad Dermatol Venereol. 2014. doi: 10.1111/jdv.12772. [Epub ahead of print]. 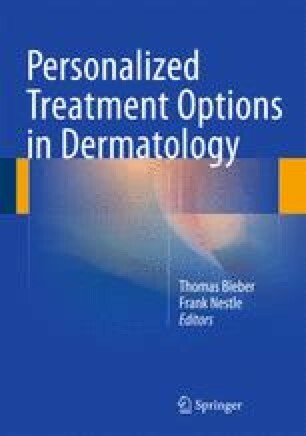 Amber KT, Hertl M. An assessment of treatment history and its association with clinical outcomes and relapse in 155 pemphigus patients with response to a single cycle of rituximab. J Eur Acad Dermatol Venereol. 2014. doi: 10.1111/jdv.12678. [Epub ahead of print].